We have many good dogs and cats available for adoption that have been rescued from animal shelters, abandoned by their owners and found as homeless strays. All of our dogs and cats are placed in foster homes where they all receive loving care, socialization with other animals, house training and crate training. Because of the care and attention each animal receives, we get to know our animals well and are able to place our animals with the best compatible family. We have also posted our animals available for adoption on Pet Finder. We thank you in advance for adopting a rescue animal! Hi, my name is Sandy! 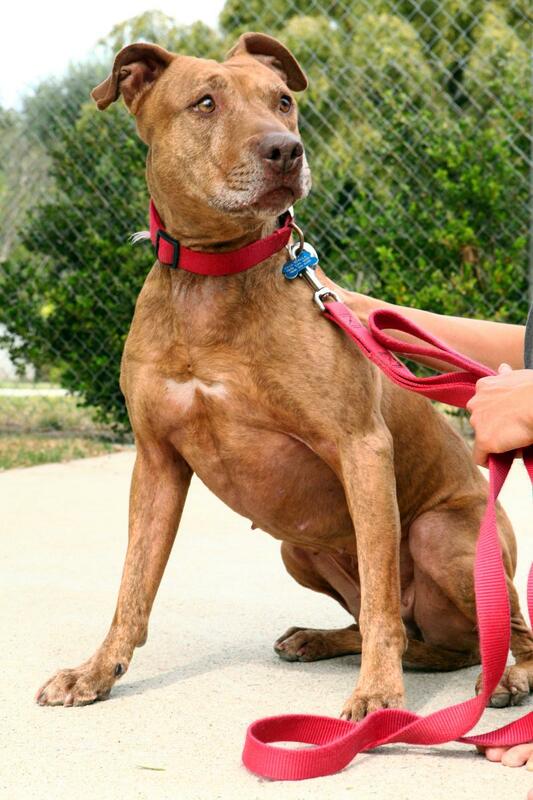 I am a very sweet gentle hound pit mix that just wants to be by your side all the time. My foster mom thinks I am very smart and just an all-around good listener. I always do what my foster mom says as I just want to please. I just love giving hugs and kisses and I especially love getting belly rubs!!! I am living in a foster home with other dogs and my foster mom is taking good care of me. I am available for immediate adoption as I am already spayed, house trained, crate trained and vaccinated with all my shots. Please adopt me and I will love you forever! Hi my name is Otto! I am a very sweet and gentle dog with lots of love and affection to share. I love to sit on your lap and give you kisses. I get along well with people, dogs and kids. I am a pretty easy going dog and walk well on a leash. I am ready to go home immediately as I am already house trained, neutered, micro-chipped and have all my vaccinations. Please adopt me and I will love you forever! Hi, my name is Goldie! I am about as sweet, gentle and easy going as they get. I am living with three other dogs and I just follow the pack wherever they go. I enjoy being with people and dogs. I take treats gently and I am easy to walk with on a leash. I am available for immediate adoption as I am house trained, crate trained, spayed, vaccinated and micro-chipped. Please adopt me and I will love you forever! Hi, my name is Precious! 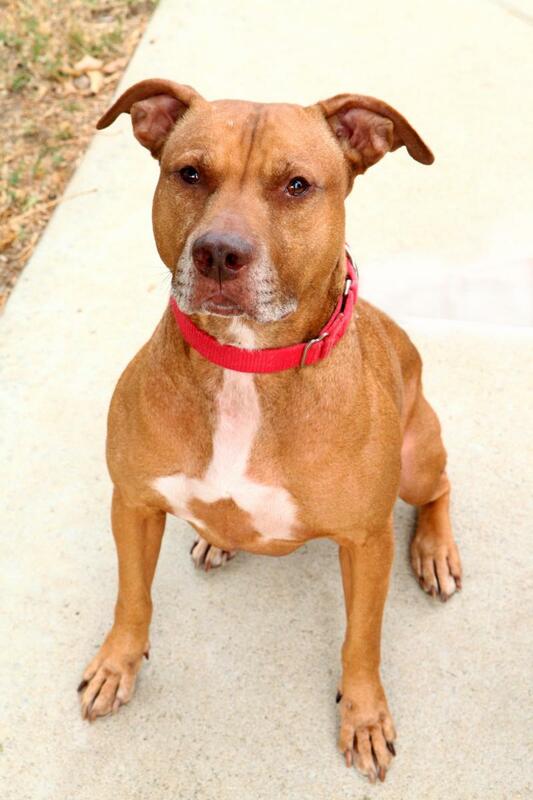 I am a young female red nose pit mix. I am about as sweet, affectionate and easy going as they get. I make a great jogging partner or can go on long hikes. I’m ready to go home immediately as I am already house trained, crate trained, spayed and have all my vaccinations. Please adopt me and I will love you forever! Hi, my name is Oliver! My mission in life is to love you and give you as much affection and attention you want. They really do not make them any sweeter than me. I am a total lap kitty and will love being by your side. I was hit by a car and needed to have leg surgery. I am recovering well from my injuries. 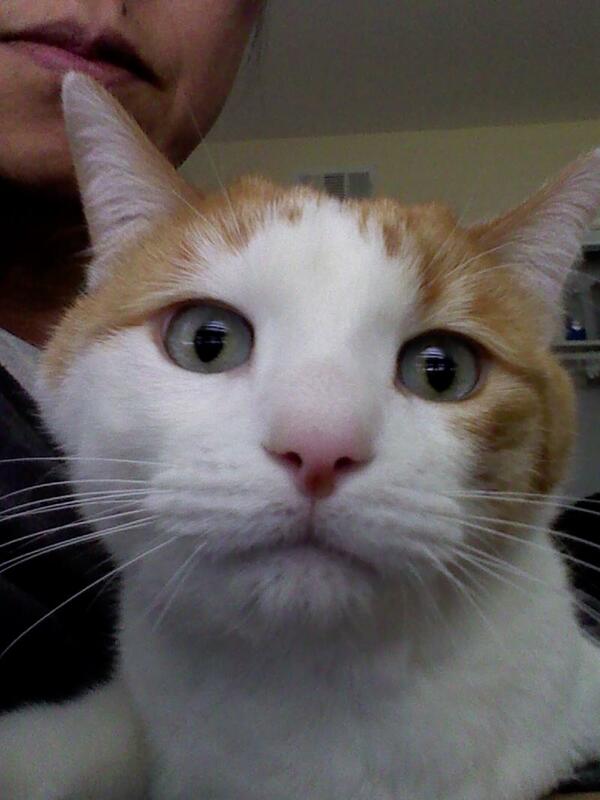 I was a former evidence cat in animal abuse cruelty case involving negligence and abusive care. Despite the hardships I have endured, I have let go of the past and ready to live my life with my permanent family. I am living in a foster home where my foster family is taking good care of me. I get along well with dogs and cats. I am available for immediate adoption as I am neutered, house trained and current on all my vaccination shots. Please adopt me and I will love you forever! Hi, my name is Sam! I am a young male orange tabby cat. I am a sweet shy kitty with new people I meet. If you have food, I am your best friend. I get along fine with other cats once I get to know them. I am ready to go home immediately as I am already neutered, litter pan trained, micro-chipped and have all my vaccinations. Please adopt me and I will love you forever! Copyright 2009 Evidence of Love Animal Care. All rights reserved.